December 31st & January 1st. You can still return items in our book drop at any time. All items returned via book drop will be checked in with the date of the last day the library was open. 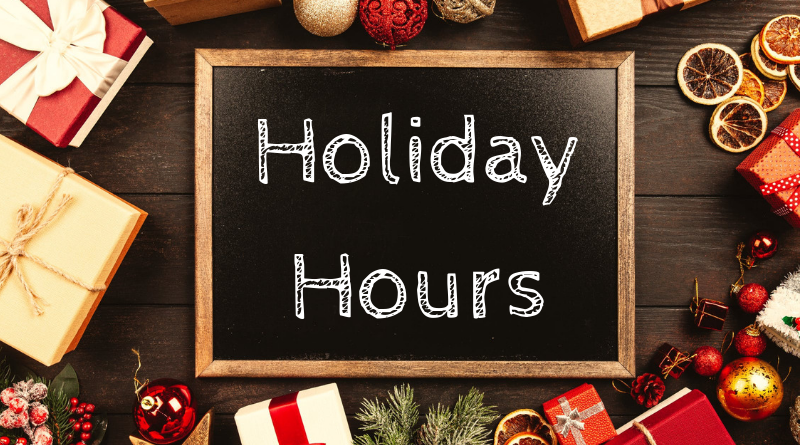 The Library may physically be closed over the holidays, but our digital library is always available! With your library card you can access OverDrive (eBooks, audiobooks, magazines, videos), Flipster (magazines), and Hoopla (Music, TV shows, movies, ebooks, and comics) at any time!